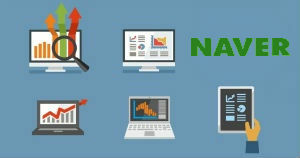 Naver is one of largest search engines in the world, covering 73% of searches in major international economy, South Korea. 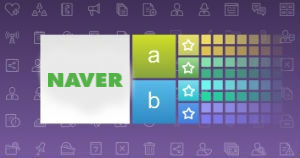 Similar to Google that owns the famous PPC platform – AdWords, Naver has also developed its own PPC platform called “Search Ads”. But how does this platform work? From a PPC operational perspective, I’ll discuss the pros and cons of working with Naver Search Ads, in comparison with Google AdWords. First of all, let’s take a look at the limitations. Not easy to set up an account in Naver Search Ads. You cannot advertise different websites in one account. No daily budget control in the campaign level. Only exact match type can be used. You cannot do SQRs yourself. Only one-to-one relationships allowed between keyword and ad. Not so easy to manually change an individual bid. For manual bidding, there are very limited options for making bulk changes to bids. No conversion metric shown on bidding dashboard. No filter and segmentation functions. No editor for offline campaign management. Limited options in customising reports. In my opinion, AdWords is the best PPC platform in the world. Benchmarking it with any other PPC platforms will show you a lot of limitations, so Search Ads shouldn’t be embarrassed by these. Let’s take a look at these limitations one by one. 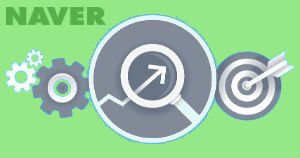 In AdWords, users can set up a new AdWords account in minutes however, it is a very different process in Search Ads. Before you open a new account, your website will be inspected by the screeners of Search Ads and if it isn’t compatible with their browsers, you’re simply not allowed to open the account! I’d also add in here that Naver requires a business license in order to open an account. In AdWords, you can advertise different websites in one account as long as they are in separate campaigns. However, in Search Ads, you cannot do so even if the websites are owned by the same client. AdWords has a daily budget setting in the campaign level, which is very helpful for you to effectively control the daily spend of each of your campaigns, and keep them running as long as required. However, Search Ads doesn’t have such a setting in the campaign level. It provides a daily budget control in the group level. This might seem an acceptable solution for you to control the daily spending, but could be a long-winded task if you manage a campaign that has more than 40 groups. It can be a big challenge to get the most out of your campaign by allotting budgets between so many groups based on search traffic fluctuation. One day, I took over an existing Search Ads account, and noticed that, the account still had enough money, however, unimportant keywords were receiving exposure, when priority keywords weren’t. The reason was that the group containing the priority keywords already used up its daily budget, and other group didn’t. If there was a daily budget control in the campaign level, this problem would not occur Or if you are lucky enough, and have a campaign that is always under spending, you may simply let it go, and not even bother to set daily budgets for groups. In AdWords, a search term may trigger a ad exposure by matching itself with a keyword in four ways: broad, broad match modifier, phrase and exact. However only one way (i.e., exact match) can be used in Search Ads, so some potential ad exposure and possible clicks driven by broad, broad match modifier and phrase matches are lost. To minimise lost impressions, any keyword research for Search Ads has to be very thorough to ensure all variations of search terms are covered. Because only exact match type can be used in Search Ads, all search terms you can get are same as the existing keywords. You have no chance of doing search query reports to identify new keywords and negative keywords the way you can in AdWords. However, Naver’s Online Sales Team has historical search records which contain some search terms that are different from your existing keywords and they can help to identify and suggest new keywords for you. Within an AdWords ad group, an ad may be triggered for exposure by any one of the keywords, so there is a much more flexible relationship between keywords and ads. You can easily add (or remove or pause) any keyword (or ad) to (or from) the ad group, without affecting the whole group. However, in a Search Ads group, there is a one – to – one relationship between every keyword and ad. In other words, a keyword is exclusively related to an ad, and vice versa. If several keywords have to use the same ad and same landing page, you need to copy the ad and destination URL several times, and link each copy with each of the keywords. So, for a campaign with thousands of keywords, this can be very time consuming. Furthermore, if you add a keyword to the group, you will have to add a corresponding ad as well. The above mentioned one-to-one relationship between keyword and ad makes it very inconvenient to do A/B tests in Search Ads. If you prepare two Ads for one keyword, and want to test which one could bring more clicks or conversions, you cannot test them concurrently, as you can in AdWords. You can only test one ad at a time, so have to keep one paused for a defined period and then switch them in order to compare performance. It is very inconvenient to do the test, and also not easy to compare the two ads’ performances to draw a convincing conclusion on which one is better, because the performance data comes from different time periods. AdWords has automatic bidding. You can also set automate rules for campaigns, ad groups, ads, and keywords, so that some changes (e.g., increase or decrease daily budget for campaigns, pause ad groups or ads, increase or decrease bid for keywords) can be automatically done as certain conditions are met. However, Search Ads doesn’t have automatic bidding, you can only do manual bidding in the system. If you dowant to have automatic bidding, you may contact Naver’s Online Sales Team, and ask them set up automatic bidding (e.g., always position No.1) internally for your chosen keywords. In AdWords, if you want to manually change an individual bid, you just simply move your cursor over the bid, then click, input a new bid, and press enter, and it’s changed. However, in Search Ads, the process of changing a bid is much longer and complicated. You need to tick a box beside the keyword corresponding to the bid, then click the bidding button, you can change the bid after a pop-up window comes up, and then press the submit button, wait for another pop-up window, and finally click the confirmation button to finish the process. AdWords provides several options for bulk edit to bids, for example, increase or decrease max cpc by percentage or value; raise to estimated top – of – page bid or first page bid; set max cpc to certain bid value. You can make bulk changes to bids across groups or within a group. However, in Search Ads, you cannot make bulk changes to bids across groups. Within a group, you can only make bulk change such as from “all rank no.1” to “all rank no.2” for your chosen keywords. Google provides so many choices for us in “customise columns” so that we can customise statistics table to whatever we want, and change metric positions. However, in “My tab”, Search Ads just has about 15 metrics (impressions, clicks, CTR, ….) for us to choose, but no metric “conversions”. There is no conversion metric shown on the default bidding dashboard of Search Ads, and also you cannot choose “conversions” to customise your bidding dashboard. So, when your optimisation target is to get “as many conversions as possible” or “minimise CPA”, or whatever your conversion target, you cannot bid for your chosen keywords just based on the bidding dashboard. You will have to go to “Report” tab to get conversion data for keywords, and then come back to the dashboard, combine them with data of “clicks, CTR, average CPC, average position, current rank and cost” in the dashboard to make bidding decision for the chosen keywords. It is very inconvenient and time consuming. In Search Ads bidding dashboard, there is a “star” sign beside each keyword, which can be used as a label to differentiate main keywords (e.g., main converting keywords) from other keywords. You can easily identify “main keywords” by clicking “star”, and re-organise “main keywords” from different groups into a new group or several groups. You can easily adjust their bids just by clicking the “main keywords” group, and directly making a bidding adjustment for them, and don’t need to look for them in their original groups. If you manage a big campaign that has thousands of keywords, and don’t have enough time to go through each keyword, then you may only monitor and improve the performance of main keyword groups.. So the “star” sign is useful, but limited in labelling function. Google does not have such specific and straightforward “star” sign for main keywords, however, it has more flexible label function. You can label not only the main keywords, but also other keywords such as “expensive keywords” or “unimportant keywords”, or to denote new ads that have been added or keywords that are being tested. As we know, AdWords has a lot of filter and segmentation functions. You can conveniently use them to filter out or segment what you want to do bidding or data analysis. However, Search Ads doesn’t have such functions. AdWords provides editor and can effectively help you to manage or plan your campaigns offline, but Search Ads doesn’t have such a tool. In AdWords, you can customise your own report by choosing any metrics you want, and any time periods you want. However, Search Ads is very inflexible and limited. It has several default report templates (e.g., keyword report, converting report), but the metrics and their order are fixed; you cannot change them by yourself. You can only change time periods. Shows current rank for keywords. Shows how much you should bid for your chosen position. Offers 10% VAT reimbursement coupon. Excellent service from Search Ads Account Managers. Despite Search Ads having a lot of disadvantages, this definitely shouldn’t deter you from including it in your PPC strategy as it also has a lot of advantages. Therefore, I would also like to present some of them as follows. AdWords only shows you the average ranking position for keywords, however, Search Ads displays not only the average position but also current rank. It is very helpful for you to avoid “blind” bidding. Why does Search Ads show current rank for keywords in its dashboard, but AdWords doesn’t? I’ve thought about this issue over and over, and guess that a possible reason may be that Search Ads only uses exact match type, and can, therefore, easily work out the current rank of a keyword based on its bid and quality index. 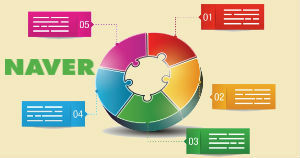 If broad, broad match modifier, phrase, and exact matches mix together, different search terms will trigger different group of bidders, and the position of a keyword may change, and thus lead to uncertainty of its position. Therefore, AdWords doesn’t show “current rank” for a keyword. Again, exact match type only allows Search Ads to see exactly how many bidders are competing for the same keyword, and can easily work out how much bid you should set for a specific position. Therefore, in Search Ads, if you want to bid for a keyword, you just need to choose which position you want, then the system will tell you how much the bid should be – very simple! Specifically, if you want to bid on keywords in a group, then go into the group folder, and mark the keywords in the list, click the bidding button, then you will see the pop-up with the keywords you chose. Then you can choose a position for an individual keyword, and get a bid for it. Or you can set the bidding like rank no.1 for all chosen keywords, and bid for them in one go. A 10% VAT reimbursement coupon will be issued a month after the pre-payment. This is basically tax being reimbursed to overseas businesses. But advertisers must remember to activate the coupon before its expiry date. Search Ads has an online Sales Team that provides excellent services for clients, its account managers are always helpful, you can ask them for help for any questions, and can always timely get answers from them. Based on the above comparison between Naver Search Ads and Google AdWords, you can understand how different these two PPC platforms are. If you would like to do PPC advertising through Search Ads to Korean people, it’s vital to have an experienced Naver PPC Specialist and an agency that has a good relationship with Naver to assist in setting up and managing your PPC campaigns. Sam is a PPC Specialist at Webcertain, and manages a variety of PPC campaigns for American and European companies through platforms such as Google, Baidu, Naver, Bing, Unica and Facebook. 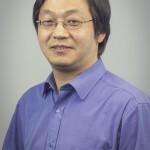 He is a certificate holder of Google Analytics, Adwords Professional, and Bing Ads. Sam also has e-commerce website development experience. Can we edit ads at a group level in Naver or ad for each keyword has to be edited individually? Naver ads can be edited with selection of multiple keywords. If you need to update ads on all keywords in one group, you can check mark all keywords in the group and make changes and copy the changes to all selected keywords. Thanks for the informative article. Since I cannot advertise for two websites, does this also mean that I cannot change the landing page to a different website? My client wants to change the page in their account to I different domain. Could you tell me if and how this is possible? I can’t find a tutorial anywhere. In fact, you can advertise on them in the same account, but need to register new site before use. For details of the process, you might need to contact your AM to assist. From your comment, I read that you have clients who you help advertise their websites on Naver. If yes, I’d like to get in touch with you and discuss possible requirements for you to advertise my company on Naver. Hi Sam, have you encountered 70-80% CTRs in Baidu for Chinese PPC campaigns? Can you share your email id for a business inquiry. Yes, Naver has same structure i.e. Campaign – adgroup- keyword – ad as Adwords. But I would like to remind you that there is a one – to – one relationship between keywords and ads in Naver. Naver has a keyword tool to do keyword research, obviously Korean language skill is needed. thanks for the great blog article. I have one question: does Naver provide dynamic placeholder for the keywords? In Naver system, keywords only have exact match type, also each keyword must be linked to one specific ad, keyword and ad is a kind of 1 to 1 relationship. Further, Naver has no analytics tool as Google Analytics. So Naver doesn’t provide dynamic placeholder for keywords. But you can use Google Analytics to track the Naver keywords if you want. Just to be clear. Naver does not provide valuetracker/dynmic placeholder for the keywords? So I have to assign these values static in the deeplink? Currently, there is no valuetracker for keywords in Naver. 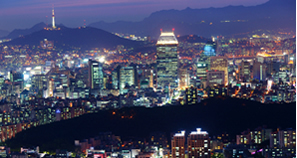 Hi, I wanted to understand what are the adcopy guidelines for Naver. What I need to know is what should be the length of the adcopy title, line 1, line 2 and the display url. Could you please guide me. In regard of display URL, it is normally main URL of your website, you cannot choose it by yourself. Hi Sam, Is Naver Search Ad interface available in English? I am sorry to say that Naver has no English interface. You can use Google translation to translate Naver interface, however, some buttons show texts by images, the texts cannot be translated into English, you still don’t know what they mean. How can we get in touch with Naver Search Ads’ Account Managers? Is there a Naver Search Ads- Support Email Id or community like we have for Google AdWords? Naver had account mangers and support about one and half years ago. Since then, they transferred support jobs to their agencies. one of them is adberrymedia.com, you may get help from them. Do You Trust Your Existing Multilingual Content? Having An App As Part Of Your Global Mobile Strategy Is No Longer Optional; It’s Mandatory!